A 20-player educational game about fame, family, and fortune. Made by Eric Nelson, Professor Sheehan, and myself. Fall 2014 - Fall 2015. 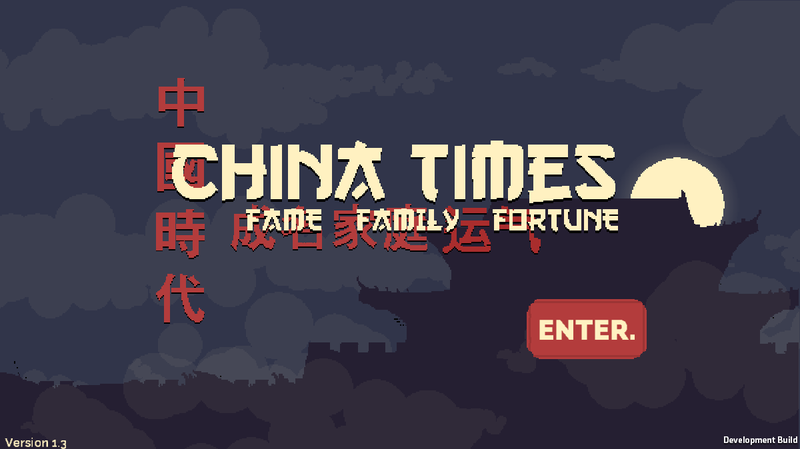 China Times is a multiplayer educational game designed for Professor Sheehan's freshman seminar course about the history of Chinese capitalism. Gameplay is team-based and turn-based. Each turn, players strategize in their teams ("families") and take individual actions in an attempt to secure for themselves the most status and wealth. 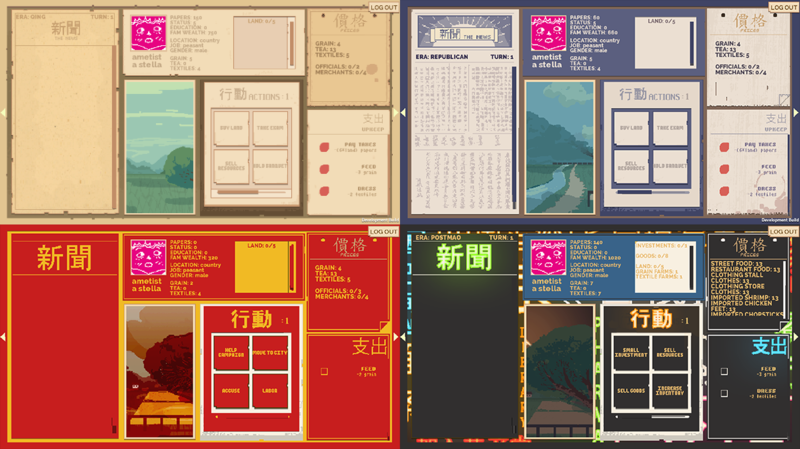 Gameplay evolves over four historical eras that align with Professor Sheehan's curriculum - the Qing Dynasty, the Republican Era, the Maoist Era, and the Post-Mao era. Each era features different rules, actions, and events that change the way the students must approach the game. Check out the swanky video the university made right here!